The recent passing of Veterans Day serves as an annual reminder of the value, benefit and purpose for the defense of liberty and freedom of thought. The importance of individual rights and the greater value of protecting those for all is the mission of our armed forces. The G.I. Bill, first implemented by President Franklin D Roosevelt and modified a number of times since, integrated military service with higher education providing a benefit to those who served in defense of our liberties. A robust program that couples military service and traditional academic coursework is possible and desirable. At the time of enlistment, a new member of the Armed Forces could also begin coursework at a community college or four-year college that would allow the enlisted personnel to simultaneously study and accumulate credits towards a college degree while engaged in active military duty. The accumulation of college credits towards a specific degree while on active duty is a powerful opportunity to integrate military service and study. There are a number of challenges for veterans who return from active duty service and enroll in college. 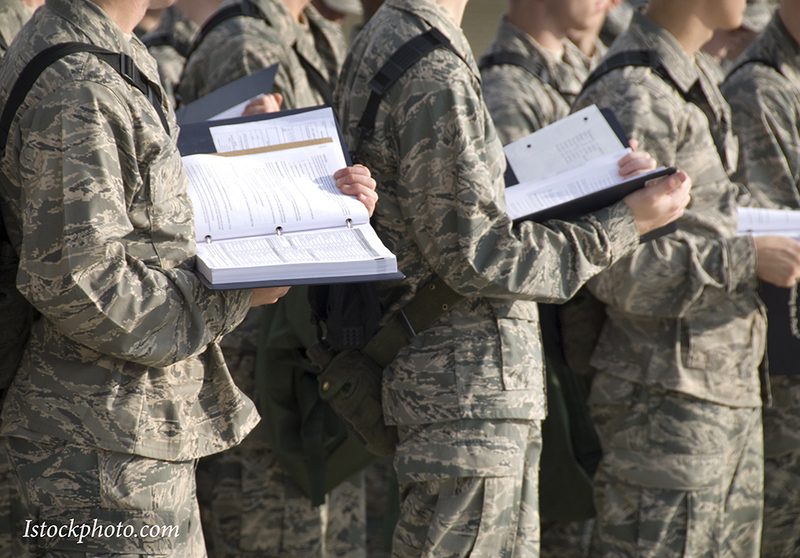 Military life is a labyrinth of bureaucratic processes that are impenetrable for the average person, and many educational institutions are among the most bureaucratic organizations in existence. An integrated approach to service and study might diminish transition from one bureaucratic environment into another. For veterans to be successful after mustering out and entering the higher education environment, a number of the issues must be addressed. Veterans who enter college are often nonwhite, increasingly female, and own a set of experiences that are unlike the average high school freshman who graduates from high school and enrolls at State U three months later. In these contrasting cases, universities must extend a thoughtful and deliberate orientation process that is unlike those typically offered for “typical” freshman. Particularly important for veterans is familiarization with campus offices and appreciation for the process of identifying appropriate majors, selecting courses and finding support services both on and off campus that create a seamless transition to campus life. It may be surprising, but veterans, like transfer students from community colleges, want the powerful aspects of a traditional campus experience. These would include opportunities to be challenged intellectually; fraternization with groups of people that share common interests (and those who don’t); and exposure to a worldview that builds or reinforces basic facets of the human condition such as faith life, family views, attitudes about work and belonging to a community. Learning experiences focused solely on cognitive skills, understandings and abilities that are devoid of the social milieu and personal perspectives fall short. If a simultaneous military service and study experience existed whereby a new enlistee is also a new freshman taking college courses towards achieving a particular degree while performing military duties, the distinctions and anomalies between military life and academic experiences would be diminished. The acclimatization challenges for veterans into university experience would be reduced. Coupled with these thoughts about integrated military/educational experience is the value of experiential learning that has been the tradition for training in the military. According to the Lumina Foundation., the Army has been especially effective at competency-based education that equates some aspects of military service and training with study. While an integrated study/service paradigm is no panacea, it provides a powerful way to serve students in attainment of their life aspirations while simultaneously serving their nation, not one and then the other, but both together. Simultaneous national service and personal study—a win-win. This entry was posted in Campus, Leadership, Service, Students by wendler. Bookmark the permalink.